Is it blasphemy to add Midori to a Mumm bubbly? I did it anyway :). What are you drinking tonight? Valentines Day is nearly here! Create the perfect Champagne cocktail and celebrate romance! http://www.amazon.com/gp/product/B006CQQBLI What’s your favorite Champagne combination? Having a bubbly-and-Midori cocktail to go with my sushi dinner. A delightful combo. What are you drinking? Having a sparkling wine cocktail with Midori to celebrate NaNoWriMo – National Novel Writing Month :). What are you guys up to tonight? Drinking anything tasty? 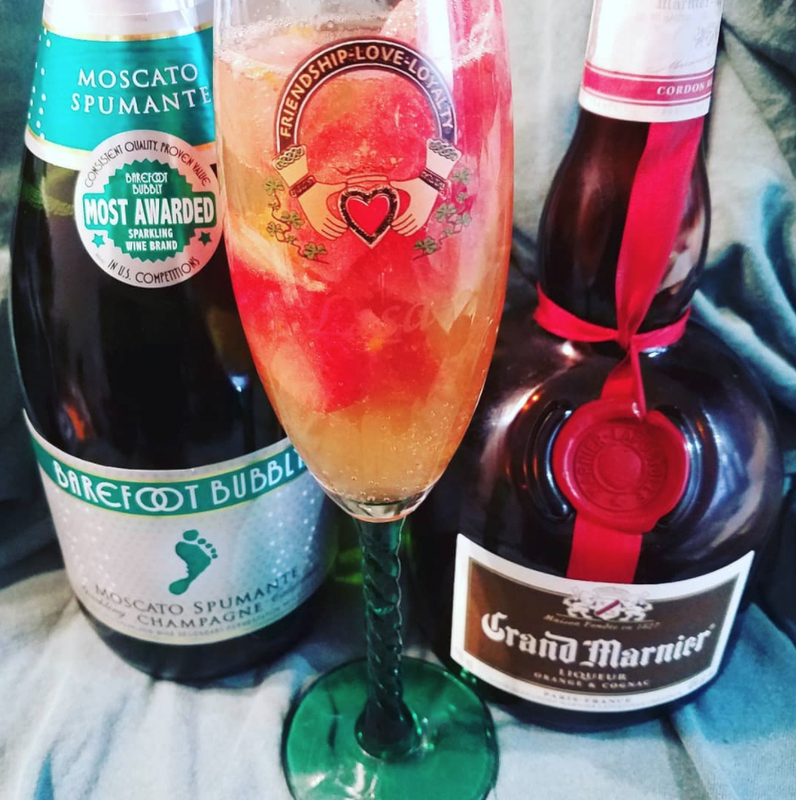 Enjoying Moscato bubbly with Midori melon liqueur – makes a lovely green bubbly concoction! What are you drinking tonight? On the back porch drinking bubbly and peaches while writing. Gorgeous summer afternoon. What are you guys drinking? Enjoying a cocktail of Moscato with cinnamony Goldschlager – tasty and festive! What are you drinking tonight?